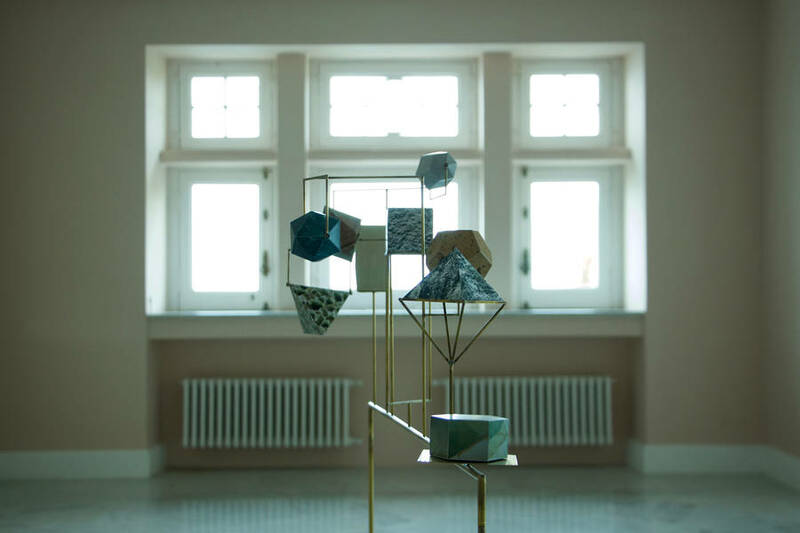 The work, created in 2015 for a collective exhibition about distance, is conceived to be modified and adjusted according to where it is displayed: a representation of the route between the place of departure and the place of arrival. 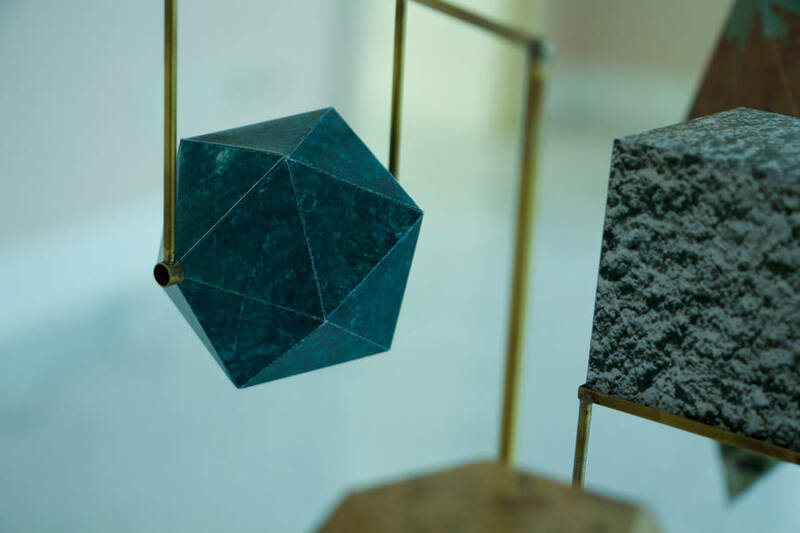 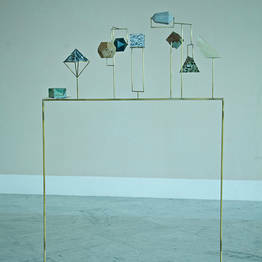 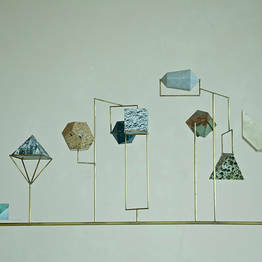 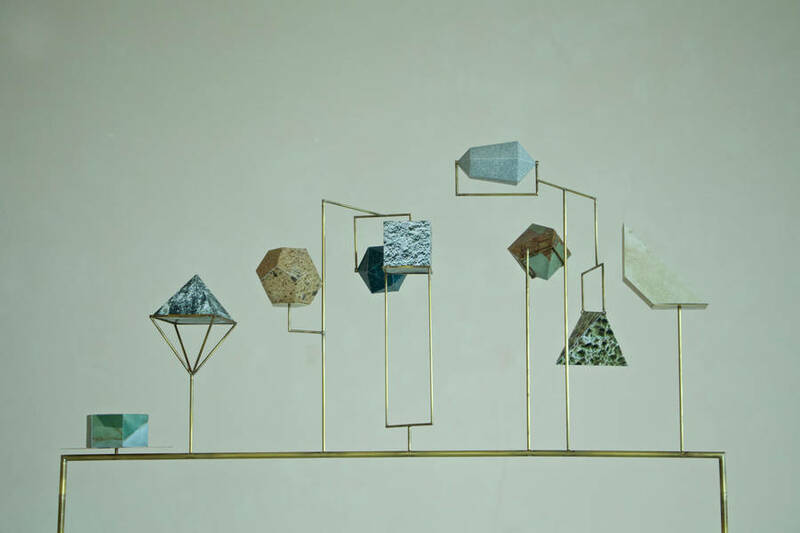 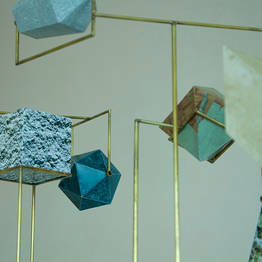 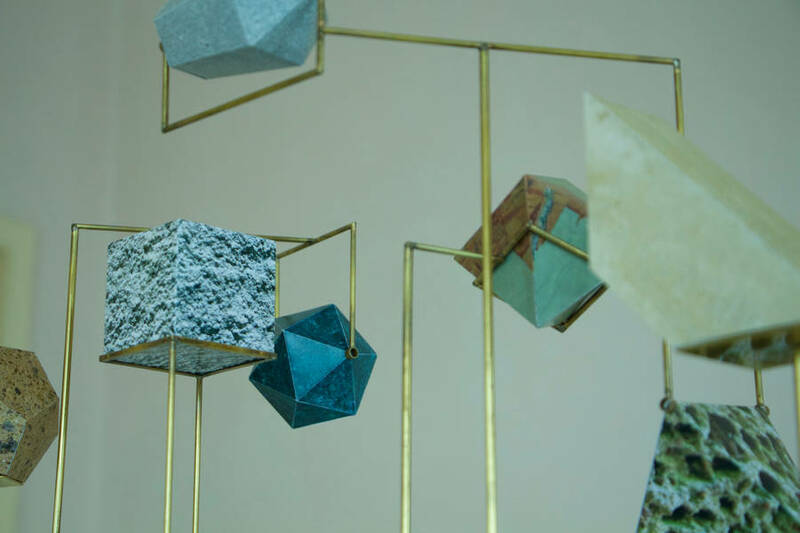 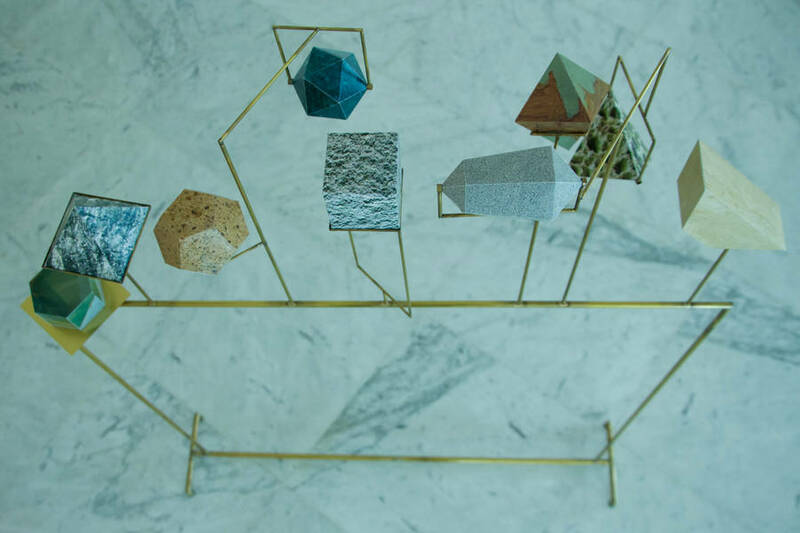 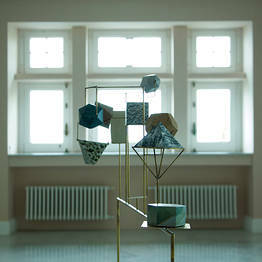 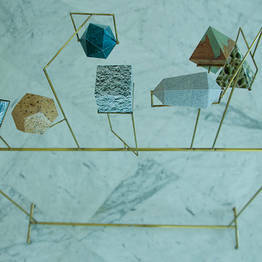 The hanging solid shapes, in paper, recall the texture of some mineral formations that are usually found along the six-hundred and ten-thousand meters of subsoil between Bologna and Capri. 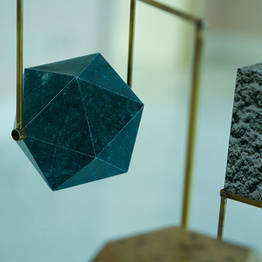 3-D cuts of stones and marbles are simulated by digital prints, although they are combined with the lightness of the paper with which they are made. 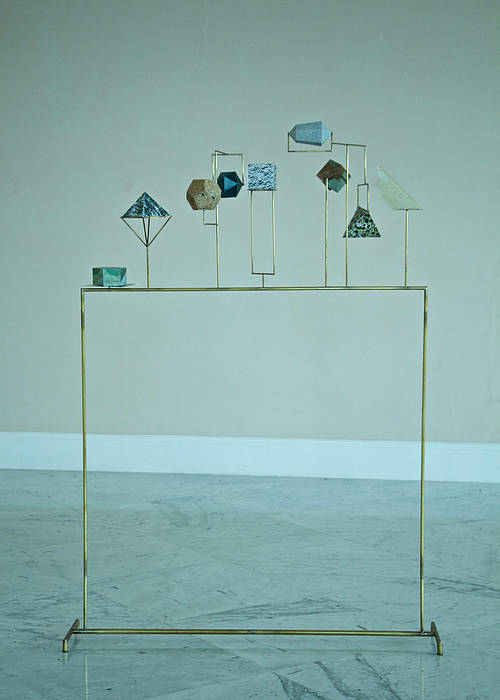 The absolutely abstract representation of this geological and underground landscape does not keep any of its compactness, solidity and resistance but - on the contrary - it acquires a slight and fragile balance made of light geometrical shapes held by thin brass structures.